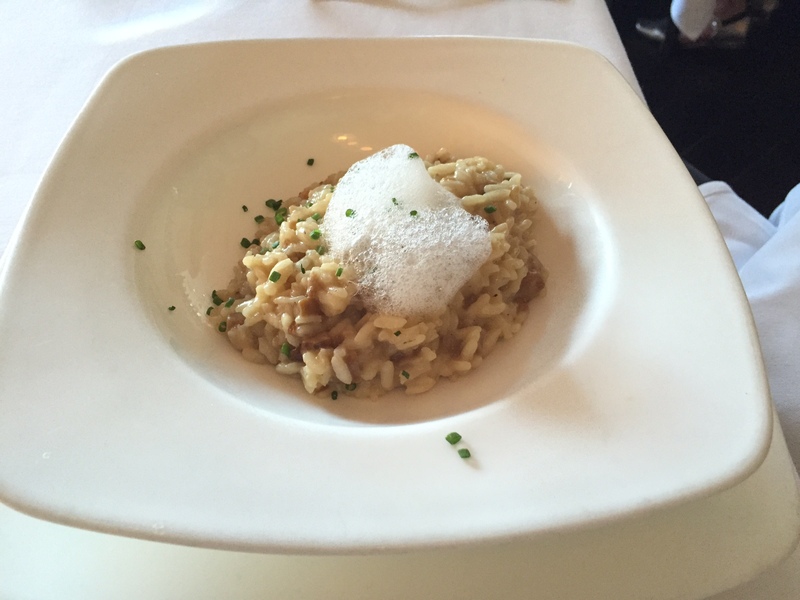 We purchased yet another deal at Travelzoo a little while back, it was for a restaurant named Il Grano on Santa Monica Blvd near Sawtelle. 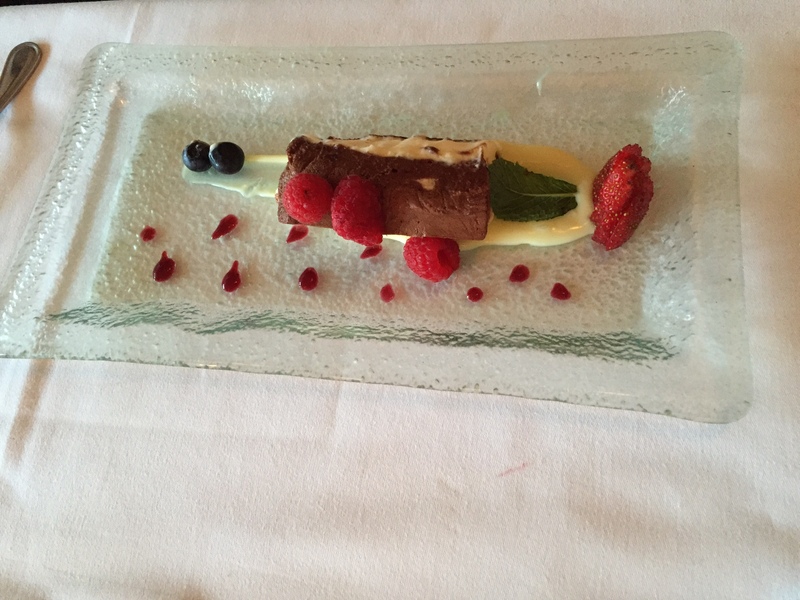 I made a reservation for the past Saturday and off we went. As usual, I was just a bit anxious, not knowing whether the food and everything else will turn out satisfactory. The drive was quite fast and we were able to find meter parking just outside the restaurant. The inside of the place is modern, clean and relaxing. 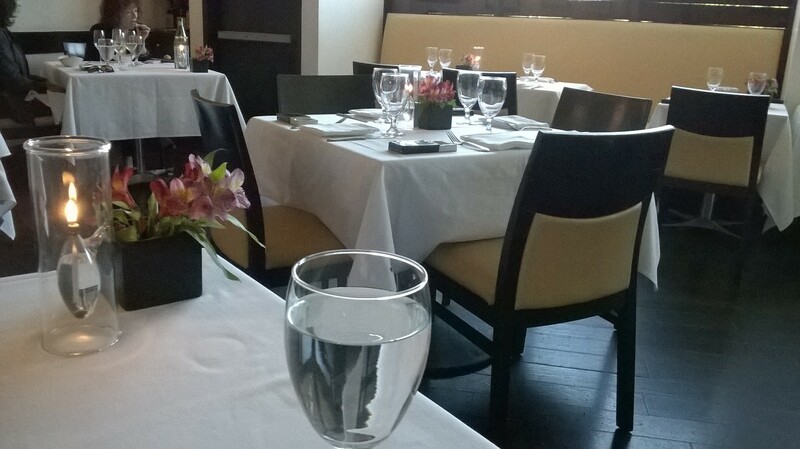 The waiting staff was very courteous, and appropriately attentive. The little round dome shape bread served with olive oil was warm and had a crunchy outer crust, and the server came and replenished with new ones whenever we were done with one. There were two choices for the each of the five courses for dinner, so we just made it easy by taking one of each. as appetizers. 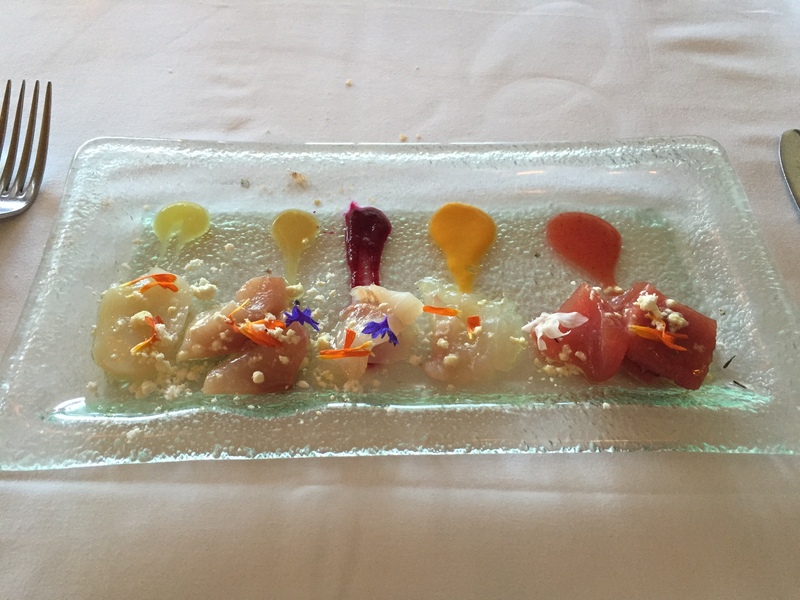 The Crudo included five different type of raw fish and a different sauce for each fish. 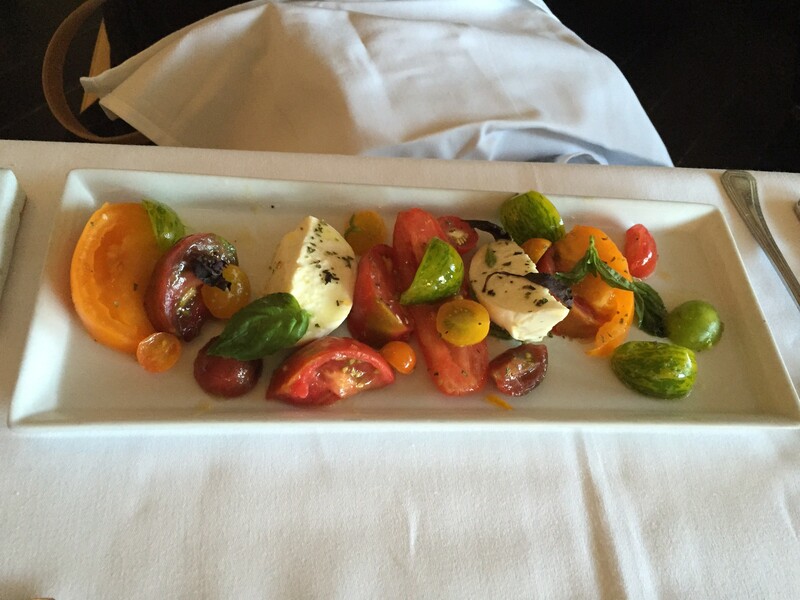 And all the different varieties of heirloom tomatoes were sweet and complimented well with the mozzarella. 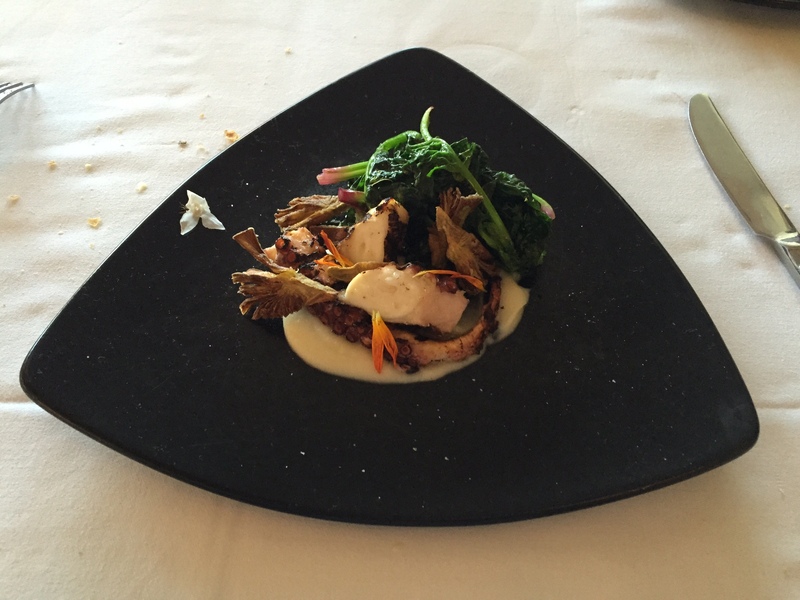 The second course included Grilled Octopus and Ricotta and Marjoram filled zucchini blossoms. I found the octopus to be very tender, unlike some that can be rubbery. 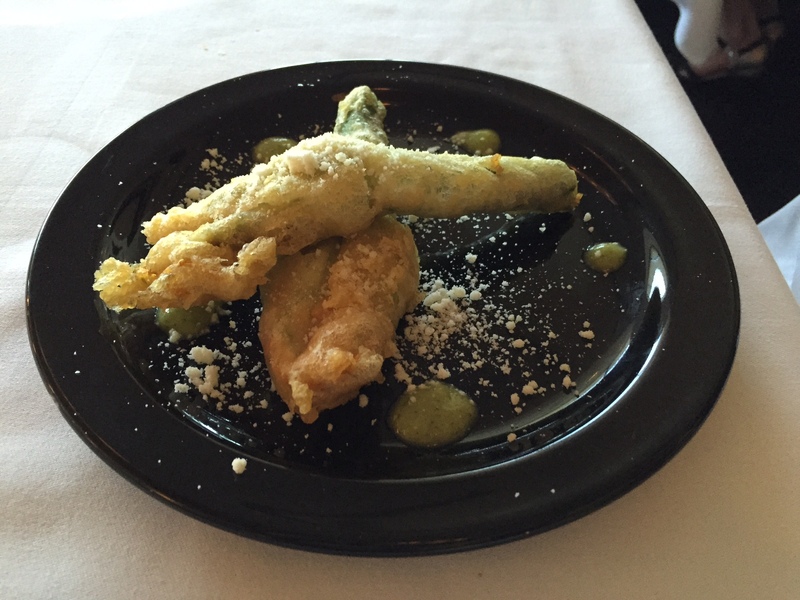 And the lightly fried zucchini blossoms(tempura style) were crunchy on the outside and delicious inside with a soft, luscious center. 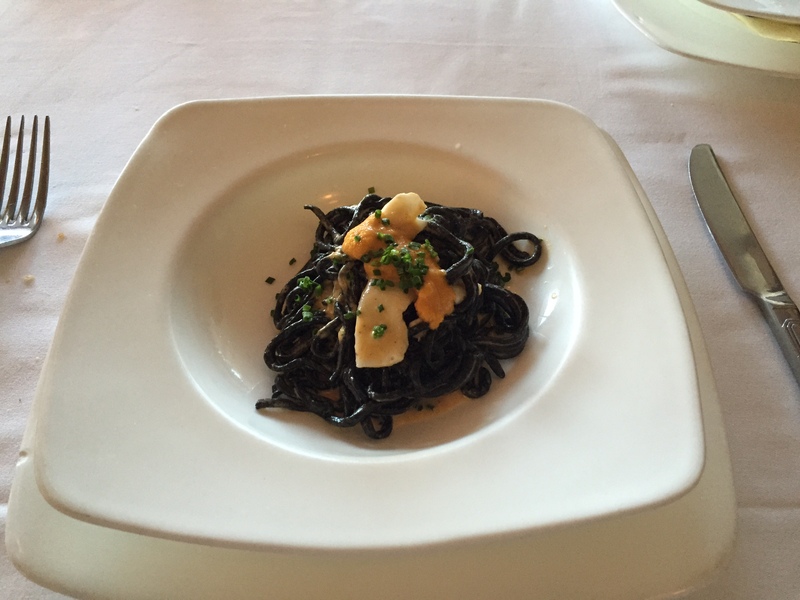 The third course with the Squid Ink Pasta with Uni Sauce, and the Porcini Risotto were both creamy and tasty. All the portions so far had been very decent and not just the one-bite portion as in some of the other fancy places, which I thought were not as satisfying. 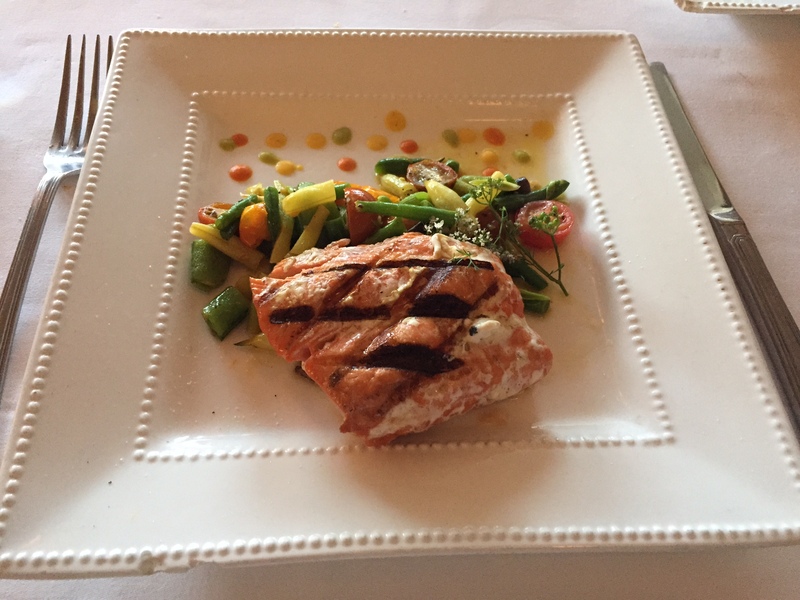 The entree included Wild Alaskan King Salmon and Duck Breast. My companion said the fish tasted very fresh and the serving was quite large in size. 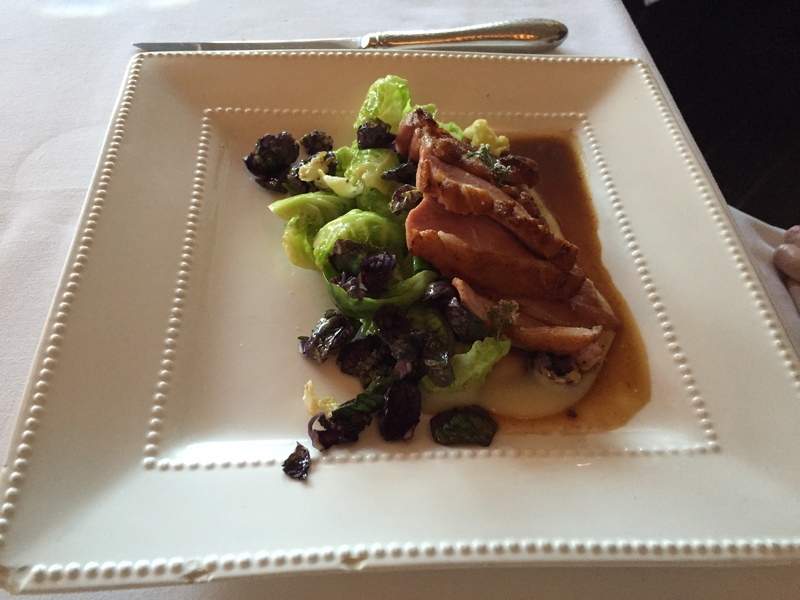 The duck breast was thinly sliced and flavorful, however, it was just a tad undercooked, so some of the them were a little chewy. 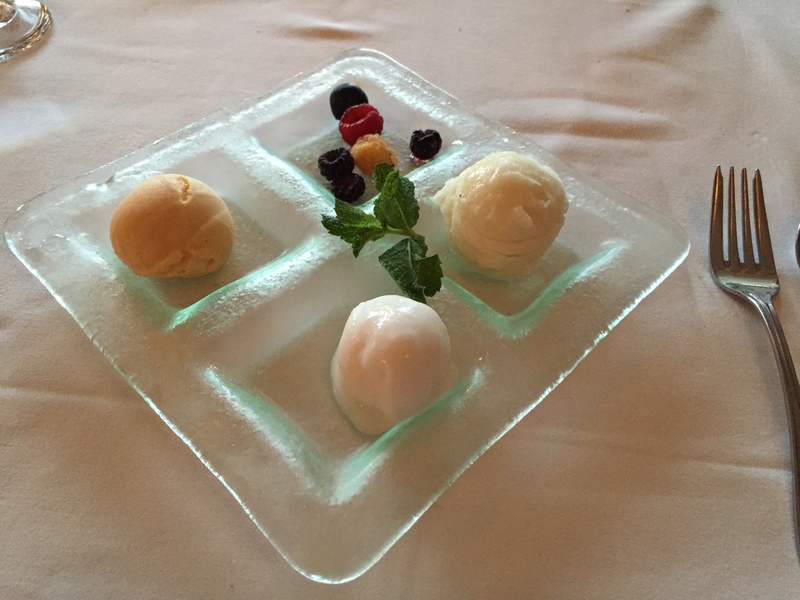 The desserts – a trio of three different house made gelato and sorbets were extremely refreshing, while my layered dark, milk, white chocolate bar was extra rich, totally sweet and decadent.